Simple Exercise Tip - The Cat-Cow Stretch. All engineers sit for long hours at their desk, especially in IT desk jobs. This makes them prone to back and neck pain very early in their life. This simple exercise tip can help you out. 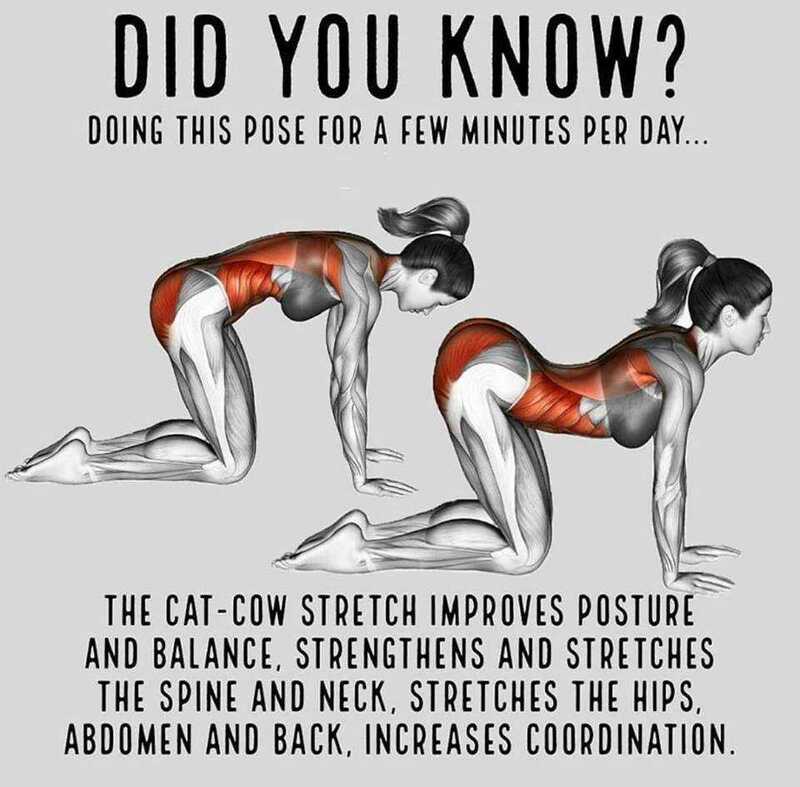 The cat cow stretch improves posture and balance, strengthens and stretches the spine and neck, stretches the hips, abdomen and back and increases co-ordination. Is it also helpful for males? Please provide the minimum and maximum age group who can take advantage from this exercise.